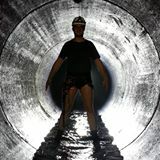 contact address of opencaching.eu owner needed! our technical chief of opencaching.de has problems:´with opencaching.eu. He says, that "de.opencaching.eu is not linked to our server.de.opencaching.eu". Re: contact address of opencaching.eu owner needed!